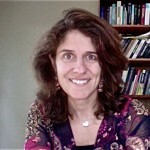 International research - mentoring in the digital age article by Jean Rhodes, The Chronicle of Evidence Based Mentoring. It was wonderful to see many of you at Professor Spencer's presentations in Auckland and Wellington earlier this month. We hope you found her topic of Youth Initiated Mentoring really interesting and thought provoking. For those of you who were unable to attend in person we are pleased to be able to offer you the opportunity to listen to the Professor's Auckland presentation. Here is the link to the Audio recording and the corresponding Powerpoint presentation. The recording is just under 50 minutes in duration. Professor Spencer provided a comprehensive analysis of how this innovative new approach in mentoring practice can influence the entire mentoring process from mentor recruitment and selection through to matching and closure. A couple of key points of difference that really stood out for me were firstly, around mentoring expectations. As the young people already have knowledge of their potential mentor, they tend to have more realistic expectations for the mentoring relationship rather than some idealised view. Secondly, the approach provides a really strong platform for 'youth voice and choice' in that the young person has significant input into who will be their mentor which in turn can increase the likelihood of the relationship going the distance. The research findings Professor Spencer shared with us are showing some promising trends, particularly with higher-risk young people. NZYMN sees some real potential for adopting this approach in the NZ environment and we look forward to continuing the conversation. Thank you to Pat Bullen, University of Auckland, Faculty of Education and Social Work and the Hon Nikki Kaye, Minister for Youth for making these presentations possible. 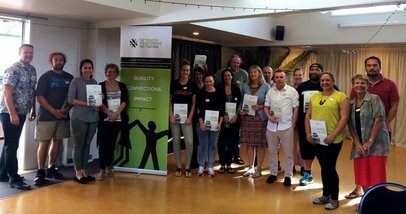 Our new lead facilitators, Ross McCook and Rod Baxter have well and truly hit the ground running, delivering workshops in Nelson, Whangarei and Palmerston North so far this year. 60 people from 38 organisations in these 3 regions have taken the opportunity to attend these one day workshops, made possible through funding assistance from The Tindall Foundation. The Guide is fab. I won't be leaving it under my bed! The day has given me a good understanding of how to use the Guide in my work. Registrations are now open for our June workshops being held Hamilton and Hokitika. Here are all the details. Places are limited so make sure you register early. Jean Rhodes from the Chronicle of Evidence Based Mentoirng recently published an article on the promises and pitfalls of mentoring in the digital age. She highlighted that many fear social media is undermining the next generation’s capacity for deep reflection, conversation, and sustained attention. At the same time, we are experiencing the many ways that these new forms of communication have improved and sustained bonds. Here is some advice about mentoring in the digital age!